As discussions about Climate Change and its effects across all spheres increases, there is an urgent need to refocus Nigeria's approach to Climate Action. One of the plausible ways will be to ensure homes, companies and all stakeholders understand the meaning of 'Carbon Footprint' and how they contribute to it. 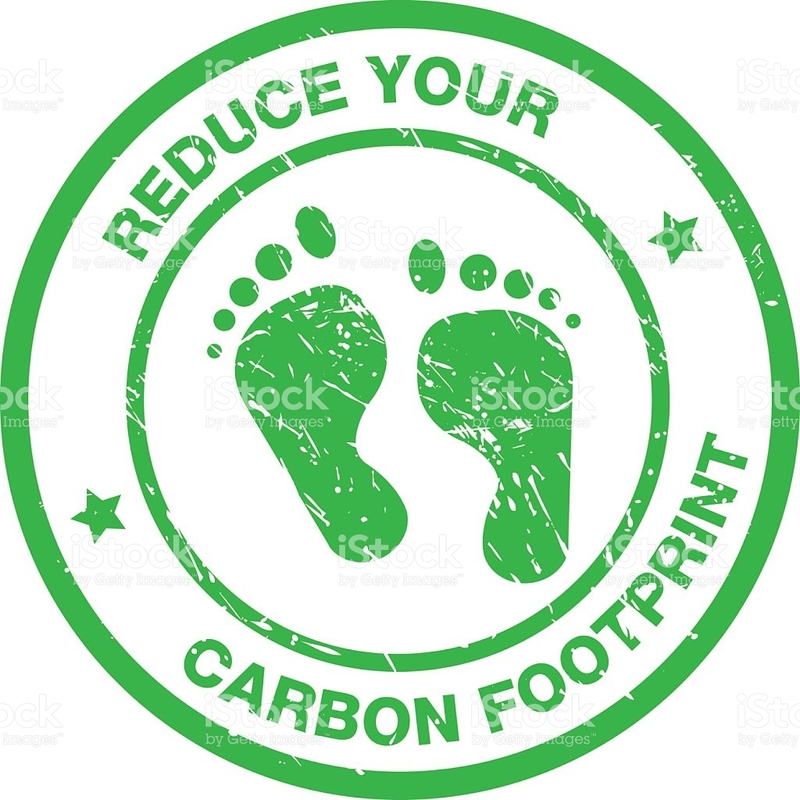 Carbon footprint, simply put, is the amount of carbon dioxide that is emitted as a result of an individual’s daily activities; otherwise explained, your carbon footprint is the sum of all emissions of CO2 (carbon dioxide), which were induced by all your activities in a given time frame. 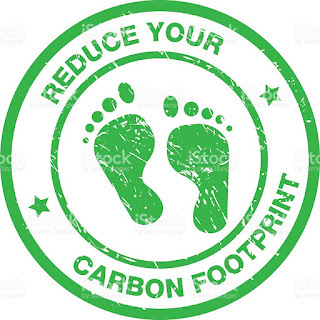 Therefore, reduction of carbon footprint is largely dependent on making eco-friendly choices. Individuals, groups, and organizations should become increasingly conscious of the total set of greenhouse gas emissions (carbon dioxide equivalent) caused by their actions. Among the 17 goals of the Sustainable Development Goals (SDGs), goal 7 seeks to promote affordable and clean energy. In many African communities, availability is affordability. In some parts of Nigeria, to meet energy needs, indigenes use energy sources like candles, kerosene lamps and carbon-emitting lanterns. In more remote areas, people encroach on forest areas to harvest firewood without the slightest remorse for not replacing them. While these practices cannot be overturned overnight, efficient use of these resources is advised. Wood dust and briquette are good alternatives that can increase wood usage efficiency and reduce the constant need for firewood to meet cooking needs. In the urban area, due to the shortage (or absence) of power supplies, many households depend on fossil fuel to meet their energy needs not because it is the cheapest but the most available means. Now those daily activities such as cooking using kerosene, firewood or methane gas for cooking, as well as, use of petrol or diesel for generators and cars surges the carbon footprint of an average Nigerian household, how can we act differently? 3. For individuals and organizations that can afford to install solar energy inverters in their homes; this is the most enjoyable energy source void of noise, carbon monoxide, and carbon dioxide pollutions. An average taxi driver or passenger after drinking water from a sachet (nylon) or a plastic (bottle) will throw the flaccid cellophane or pet bottle carelessly to the street. I remember correcting one; his response was “The government will clean it”. I smirked in disbelief because he seemed not to have an iota of guilt about his sordid action. Solid wastes, especially non-compostable wastes, are sources of greenhouse gases (GHGs) and when not well managed poses serious challenges to environmental and human health status in form of soil, air, and water pollution. Unfortunately, many of these materials (non-compostable waste) will outlive us as they are non-biodegradable. The best practice as an individual is to help minimize the level of pollution caused by solid waste by not disposing of indiscriminately, exactly what the #PickThatTrash campaign seeks to achieve. By extension, some Nigerian entrepreneurs are already leveraging on the solid waste sector to create sustainable businesses through the 3R approach – Reduce, Recycle, Reuse, while encouraging citizens to turn waste to wealth through waste management and recycling. More of this should be encouraged across the African continent if we truly will reduce our carbon footprints. Airplanes emit particles and gases such as carbon dioxide (CO2), water vapor, hydrocarbons, carbon monoxide, nitrogen oxides, sulfur oxides, lead, and black carbon which interact among themselves and with the atmosphere. Until petroleum-based aviation fuel is replaced, I strongly suggest we should avoid flying when possible, fly less frequently, fly shorter distances, and fly economy class. The environmental impact of aviation occurs because aircraft engines emit heat, noise, particulates, and gases which contribute to climate change. Road users should harness traffic updates – apps and radio program, to circumvent busy routes and find alternatives. Traffic not only wastes time but fuel and increases CO2 emission. 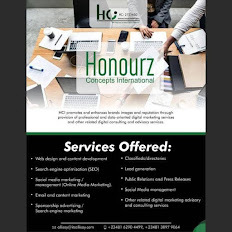 Thanks to technology advancement, we have to the rescue, online meeting and conferencing tools options such as WhatsApp, go-to-meeting, Skype, Facetime, etc. • Do not leave water running when brushing your teeth as such actions would increase energy needed for pumping water. • When installing irrigation for garden flowers, chose drip irrigation which supplies water directly to the roots over overhead irrigation. • Make water-efficient choices when purchasing showerheads, faucet heads, toilets, dishwashers and washing machines. • Embrace locally made products rather than shop abroad. Climate change is arguably the biggest threat facing our world at the moment. Perhaps this is a sentiment not everyone shares but the fact speaks for itself. In recent times the world has witnessed mudslide in Sierra Leon, drought in Kigali, flooding in Port Harcourt, desertification and famine in Northern Nigeria, melting glaciers, rising sea level, record-breaking hurricanes torrential monsoon rains in the Caribbean, South Asia and the United States, habitat loss and species migration among others. No doubt, education is key to achieving the intended mind shift. A lot of people do not have adequate knowledge about climate change and its implication on our immediate environment. In the same vein, our general attitude towards the environment emphasizes our expectations of the environment to self-heal no matter how poorly it is used. Take it upon yourself today to educate yourself about climate change; educate someone who doesn’t know enough about it; teach children about it and gradually, SDG 13 (Climate action) can be achieved by 2030. Author's Note: Putting together this list is quite difficult considering limitations of the alternatives. Truth be told, many (if not all) human actions that threaten the environment are somehow connected to livelihood. On the other hand, if livelihood remains threatened, climate change issues will probably be the least of our concerns. It is worthy of note that the author has written from a Nigerian perspective; however, it can be adopted by anyone – rich, poor, learned, educated, illiterate - and anywhere across the world. Ogunjobi Muyiwa is an environmental advocate, he writes from Port Harcourt, Nigeria.